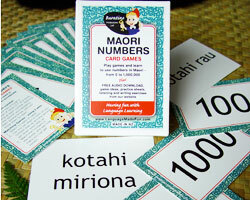 Play games and learn Māori numbers at the same time! 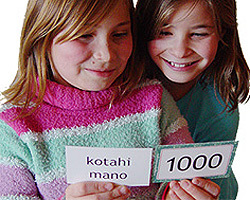 Learning to count in Māori is easy, but using numbers out of sequence – like we do in every day conversation when talking about prices, phone numbers, dates, time, age, etc. 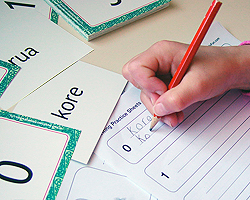 – can prove to be challenging for language learners. Created with the help of Māori Language Teacher Miriama Setterington, following the Māori Language Commission guidelines, these cards will help language learners become fluent using Māori numbers in everyday situations, out of sequence. 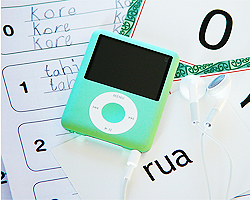 The downloadable MP3 sound track will help with pronunciation and recognition of Māori numbers. It features the voice of Deane Waretini. Use the game instruction card in each pack, and the activities and game information available as downloads on our website, to play individual or group games – you’ll be amazed how much students can learn without even realising it. 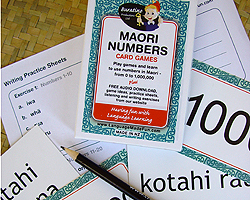 Use the Practice Writing Sheets from the product log-in page to familiarise yourself with the written Te Reo Māori numbers. 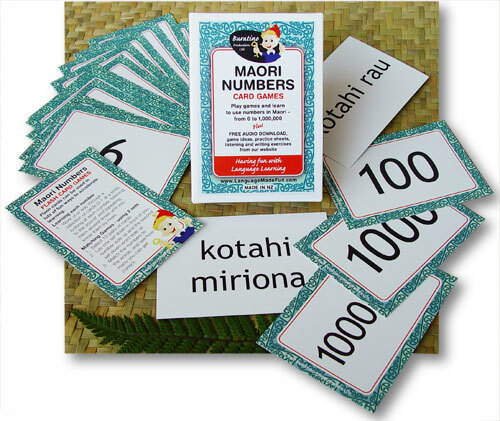 There is also a downloadable number chart to teach you how to make longer numbers, along with more Māori number activities. 2 sets of 14 double sided cards per pack. Numbered 0 to 10, plus 100, 1000 and 1,000,000. 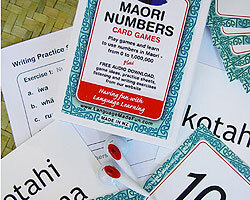 MP3 sound tracks spoken numbers by a native Māori speaker. Please complete and submit the order below. Please note that product will not be sent until payment has been received. Schools may purchase on invoice. Please contact us to arrange.